Once your property is listed with Tom, together we will want your home to look its best in order that you obtain the highest value possible in today's market. The good news? It's not very hard to drastically increase your luck when showing your home! Below is a list of some of the things you can do to make your home more appealing to potential buyers. The outside must shine. You'd be surprised at how many buyers 'sell themselves' on your house on the basis of their first impression as they drive up the street. It's called "curb appeal". 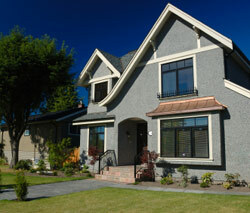 You can enhance curb appeal be making sure the lawn is mowed, the bushes are trimmed and the flower beds look good. Painting goes far in enhancing the look of your property. The inside must look as new as possible -- make any obvious repairs. Let in as much light as possible. Get rid of the clutter -- you need to pack anyway. Set the dinner table as you would for guests. Kitchens and bathrooms must be spotless. Remove some possessions to make your home more spacious. Barking dogs should be somewhere else. Bad smells are a real turnoff. Best for you to leave the home at this time to allow open discussion between the REALTOR® and potential buyers.